Yoga nidra (or yogic sleep) is a state of consciousness between waking and sleeping, like the "going-to-sleep" stage. It is a state in which the body is completely relaxed, and the practitioner becomes systematically and increasingly aware of the inner world by following a set of verbal instructions. This state of consciousness (yoga nidra) is different from meditation in which concentration on a single focus is required. 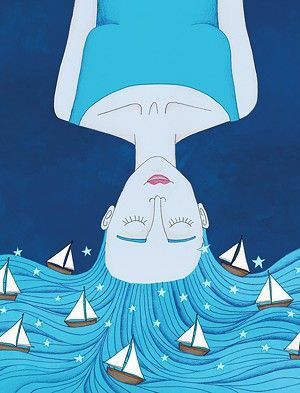 In yoga nidra the practitioner remains in a state of light withdrawal of the 5 senses with four of his or her senses internalized, that is, withdrawn, and only the hearing still connects to the instructions. The yogic goal of both paths, deep relaxation (yoga nidra) and meditation are the same, a state of meditative consciousness called samadhi.